The Koch brothers have come under fire recently from Occupy Wall Street protesters for supporting conservative policies and movements like the Tea Party. But how much money do they both have? 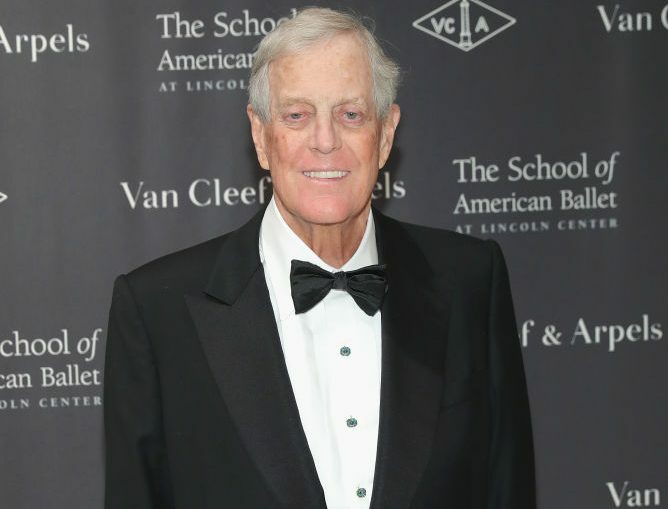 David and Charles Koch each have a net worth of $45 billion making them tied for fourth as the richest people in the country and easily some of the richest people in the world. The brother's vast wealth comes from their ownership of Koch Industries which is the largest privately held corporation in the U.S.. The business was founded by their father Fred who invented an innovative system for refining crude oil into usable gasoline that is still in practice today. In 2007 alone, Koch industries generated nearly $100 billion in revenue. The company produces over 1 million barrels of oil per day and has expanded into many industries including finance, chemicals, plastics, fertilizers, and paper products. The main complaint that Occupy Wall Street has against the Koch (pronounced "Coke") brothers is that they are funding far right political movements in the United States. A very large crowd of protesters gathered outside a recent Washington DC gathering of a group called Americans for Prosperity Foundation. The foundation was founded by David. The brothers are believed to be backing the radical right "Tea Party" movement in the US. Charles and David Koch are two of the richest people in the world. Charles Koch has a net worth of $47 billion and his younger brother David has a net worth of $50 billion. They are two of the most controversial billionaires around.